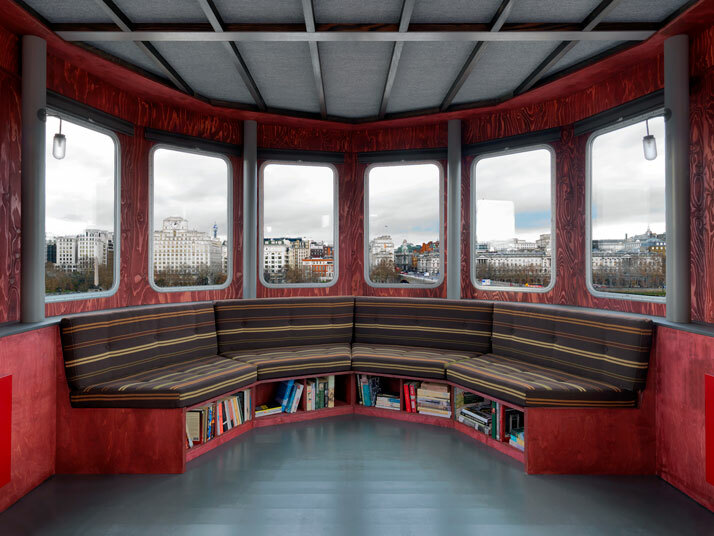 ‘A Room for London’ is both a hotel room and a boat and also one of the most wanted places to rent. 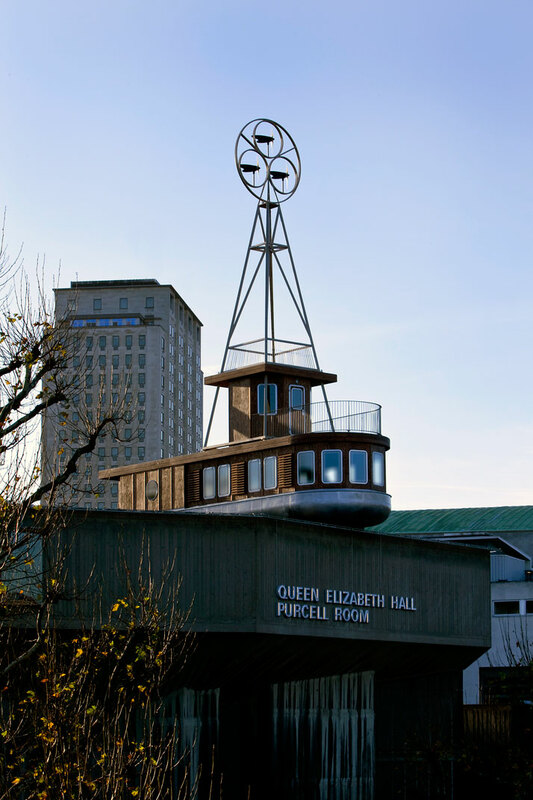 Situated on the roof of the Brutalist building in the Queen Elisabeth Hall of London’s South Bank, the boat/room neither sails nor moves. 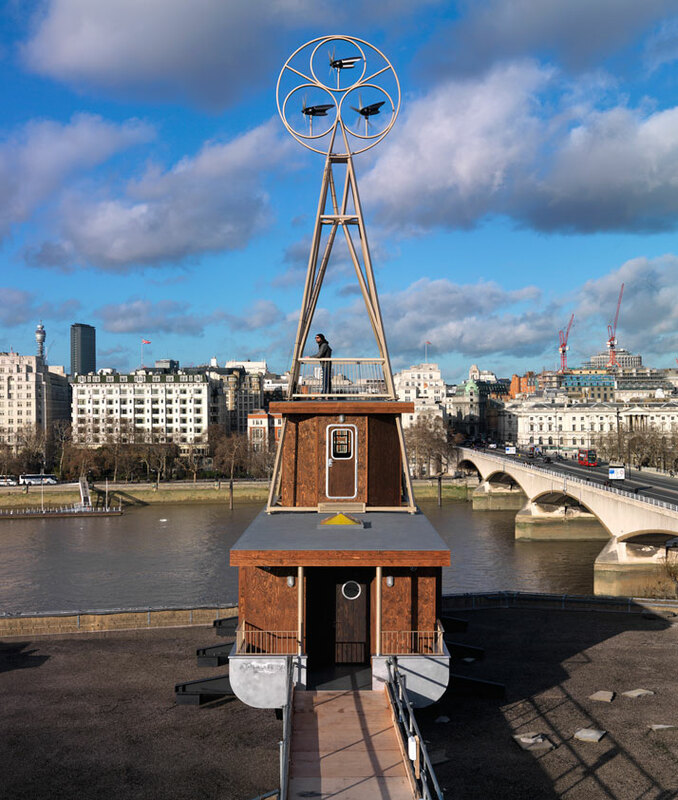 It, however, reflects on London’s place in the world in 2012 paying tribute to the famous boat: Rois des Belges, with which Joseph Conrad navigated up the River Congo before writing Heart of Darkness in 1890. 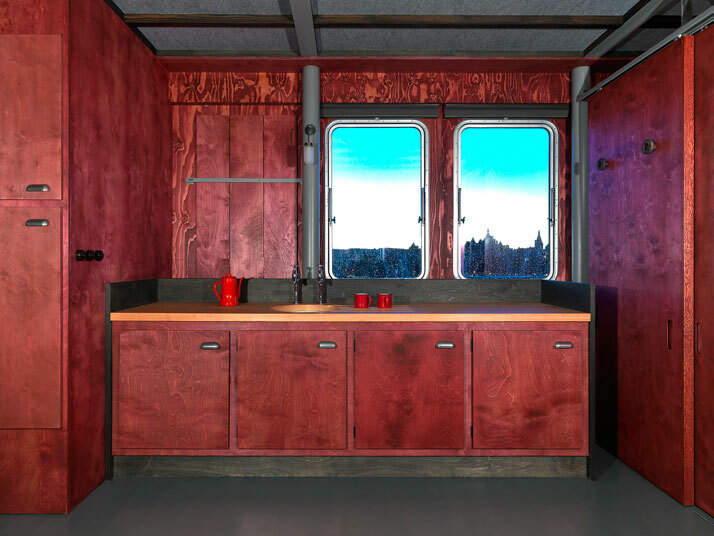 Commissioned by Artangel, which both produces and commissions projects by contemporary artists, and by Living Architecture, which uses world-class architects to build houses for rent, ‘A Room for London’ is part of the cultural Olympiad. 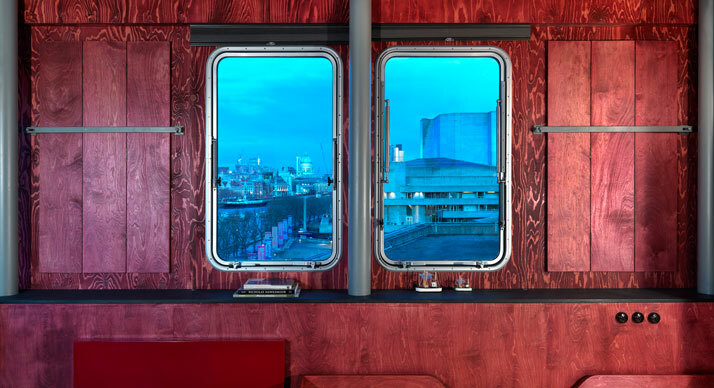 Designed by David Kohn and artist Fiona Banner, this one-bedroom installation can be rented throughout 2012 by the public for £120 a night and it offers an impressive array of cultural happenings. 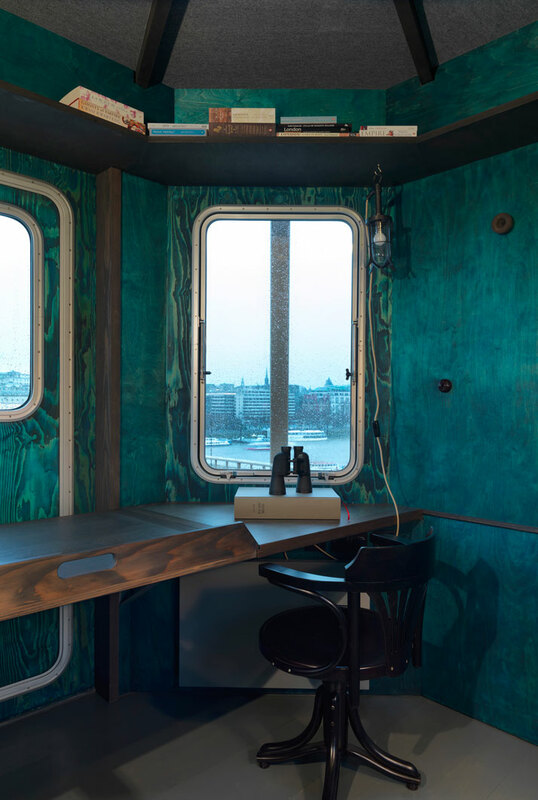 Artists, musicians and writers have been invited to stay in the room and create works and performances whilst being in the room itself which will then be podcasted on the official website. Author Juan Gabriel Vásquez, writer and cultural historian Sven Lindqvist as well as lyricist Andrew Bird will be spending time in the installation performing and creating work. 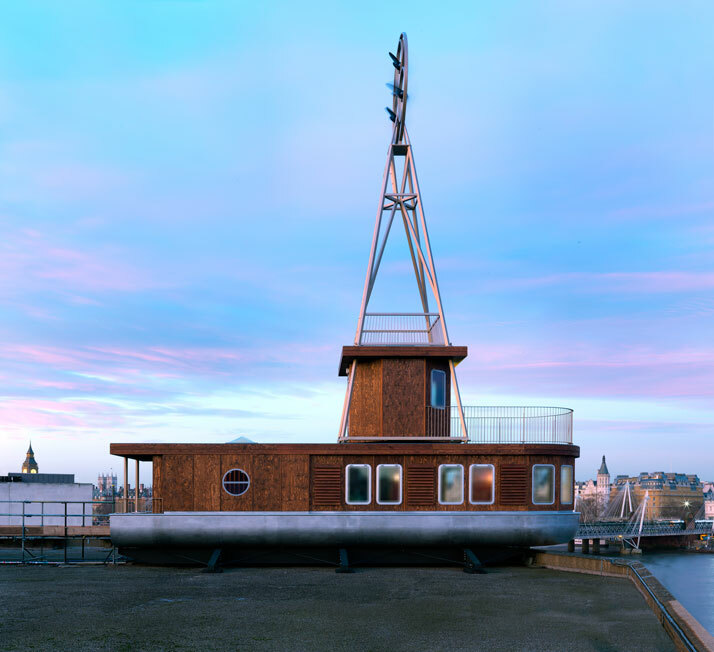 Guests will benefit from the stunning views offered from the room, which overlooks the River Thames. They will be able to gaze at iconic buildings from Big Ben to St Paul's Cathedral. They will also 'experience' the epic journey as experienced by Charles Marlow, the English man who narrates the Heart of Darkness. 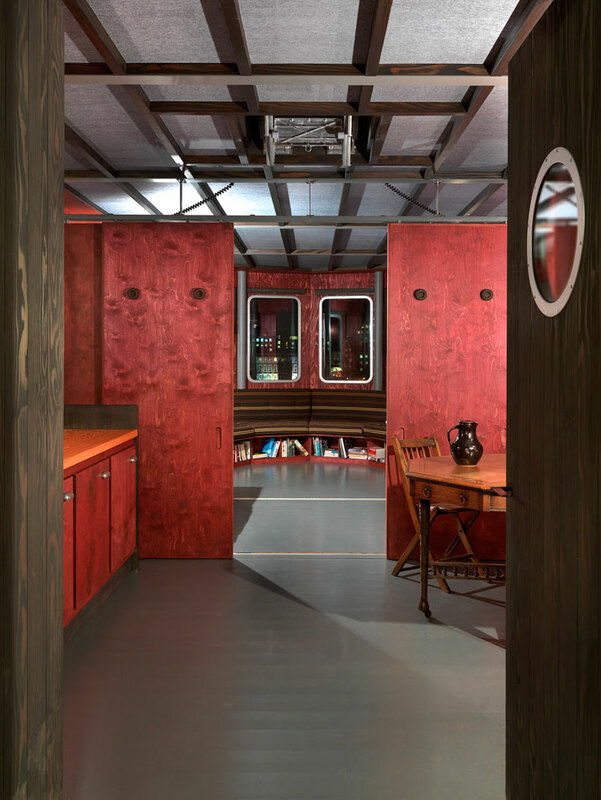 Copies of the book can be found in the cabin reviving its story offering guests the opportunity to observe, reflect and think. Old maps of the Thames and the Congo, a box of dominos and the octagonal table, all portrayed in the book, are placed in the boat. The project also features’ Ideas for London’, a competition in association with the London Evening Standard (newspaper) and invites people to submit their thoughts on how to make London a better place. One winner is announced each month, the prize being a night on the boat. 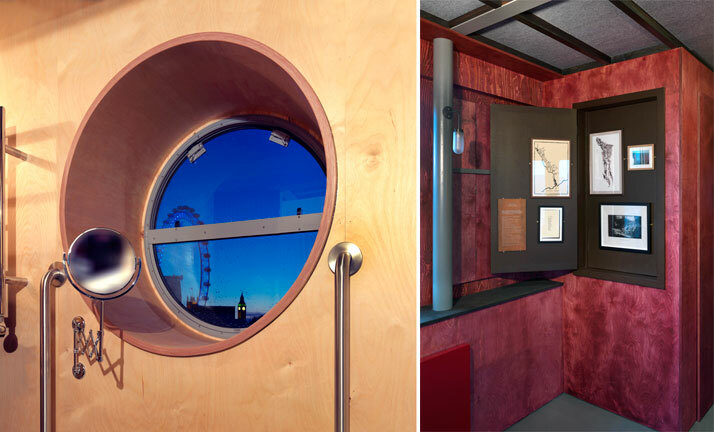 ‘A Room for London’ is an intelligent project, which revives a story, creating at the same time, new memories for people who visit. It is supported by an entertaining programme and by organizations with an important cultural impact. 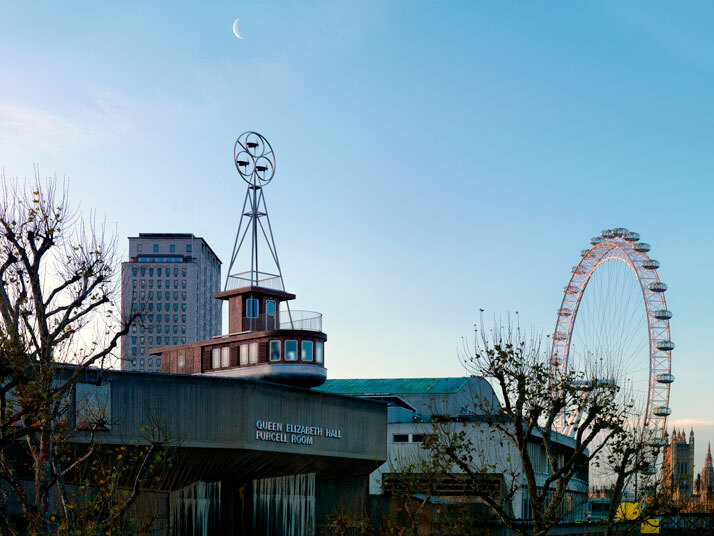 Also by encouraging people to be creative and propose ideas that could make London a better and a more beautiful place, it engages the public and promotes a collective way of thinking which is admirable.